This Brazilian virgin remy hair lace closures are 3 Part lace closures, we also can do 2 part lace closures, free style lace closures etc. 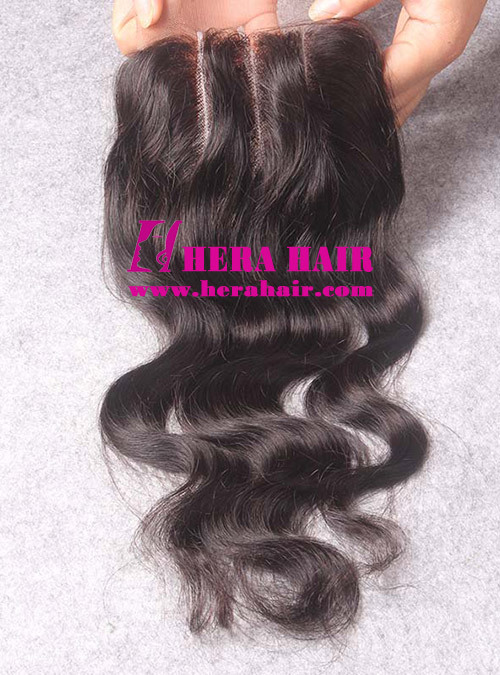 Brazilian virgin hair lace closures are very sellable lace closures, and Hera also can supply Indian virgin hair lace closures, Malaysian virgin hair lace closures, Mongolian virgin hair lace closures, Peruvian virgin hair lace closures, Chinese virgin hair lace closures and European virgin hair lace closures etc. About the lace closures's base, we have swiss lace, french lace and silk base for your choice. About the lace closures' size, we supply regular 3*4.5, 3*5, 4*4, 5*5 etc size lace closure and we also can do custom size lace closures for you. About the lace closures texture, we can do all popular hair textures and we can do the hair texture according to your picture. About the lace closures' hair color, we can do single color lace closure: dark color lace closures, blonde color lace closures and Piano color lace closures, highlight color lace closures and Ombre color lace closures. 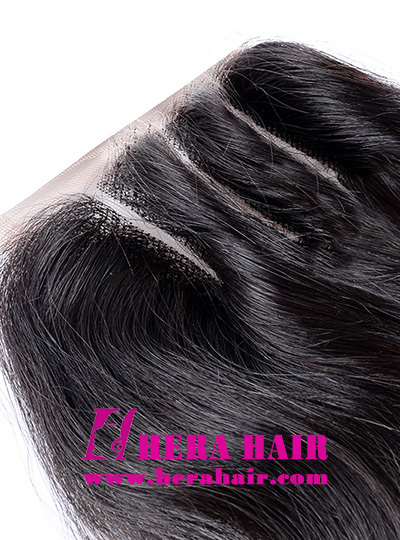 Hera welcome hair salons, wigs stores, wigs wholesaler and hair stylists to wholesale Brazilian virgin remy hair lace closures from lace closures factory directly.